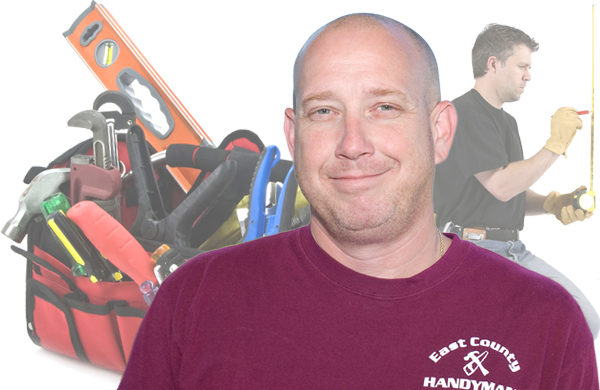 At East County Handyman we want customers for life. We are dedicated to prompt, reliable, and honest service with high quality craftsmanship. Customer satisfaction is not a goal, it is a Requirement. Request an estimate now. A kitchen is the heart of the home. It’s where the family gathers, where great meals are cooked and where so many memories are made. Retire to a relaxing bubble bath after a long day of work and let your eyes linger on your elegant new bathroom. A bathroom remodel can include the addition of a whirlpool spa tub, an expanded shower, a second sink, a new vanity, tile flooring, a wall fresco and much, much more. Do you deserve a bit of luxury in your San Diego Lifestyle! In the San Diego area, we enjoy some of the best weather in the world! With warm winters and fabulous summers, an outdoor living space gives you a special place to enjoy with family and friends. 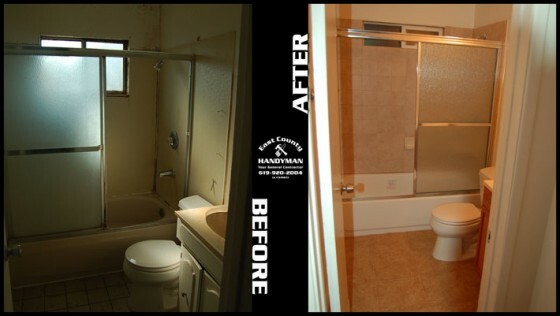 East County Handyman is a family owned business and has been providing a wide range of services for over ten years. Our services range from small residential and commercial repairs to large scale remodels. We are a BBB Accredited Business. Please contact us if you have any questions about service listed or services you need done that are not listed. We look forward to meeting you and sharing in the excitement of solving your home repair needs. 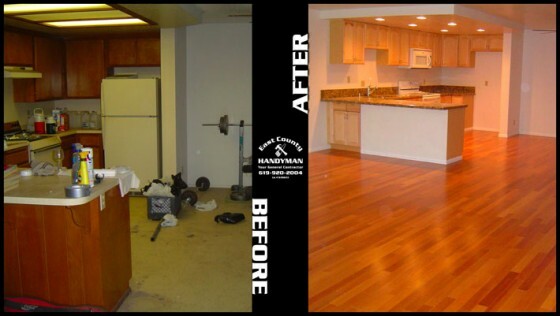 Handyman We are dedicated to prompt, reliable, and honest service with high quality craftsmanship. Kitchen Is the "Heart of Your Home" in need of a facelift or overhaul? Bathroom A beautiful bathroom can make your life feel extra luxurious. Outdoor Living Imagine the possibilities for your outdoor living space. Quality Work, Honest Prices Our services range from small residential and commercial repairs to large scale remodels. The Home Repair Experts We are your one-stop service provider for all your remodeling and home repair needs. 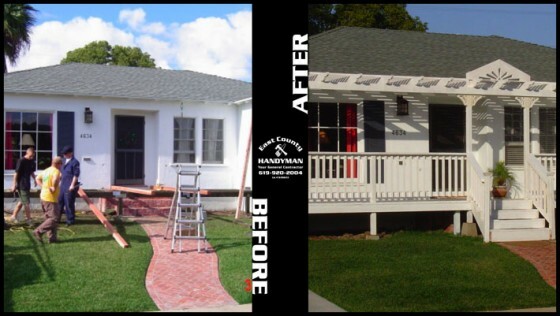 East County Handyman is a family owned business and has been providing a wide range of services in San Diego since 1998. From small residential and commercial repairs to large remodels, our company is dedicated to prompt, reliable and honest service.